Join our webinar on 18 April 2018 (15:00-16:30, Helsinki time) to get an overview of some of the tools available for transitioning to safer chemicals. 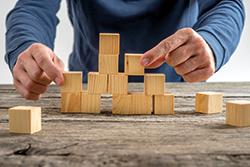 Successful substitution requires tools that help you frame your substitution project and analyse available alternatives in the most suitable way for your business. 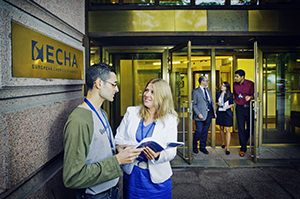 ECHA will be closed from 29 March until 2 April for Easter break. However, REACH-IT will remain open 24/7 over Easter and until the 31 May REACH registration deadline. Submit your REACH 2018 registration dossier before the end of March and receive ECHA’s decision on your registration within three weeks. If you make your submission in April or May, it may take up to three months for you to get ECHA’s decision. ECHA has published instructions on what evidence we expect from companies seeking to benefit from a so-called Directors’ Contact Group (DCG) solution. If companies consider that a DCG solution applies to them, they can now contact ECHA and submit their evidence in one go. Companies are advised to do this as soon as possible so that ECHA can assess their case well before the deadline. If accepted as a DCG case, the company will receive instructions on how to indicate their situation in their registration dossier. If you have recently filed a data-sharing dispute to ECHA, it may be that the decision is not finalised before the 31 May 2018 registration deadline. This would mean that you are not able to submit a complete registration in time. However, you can still make a submission so that you can continue on the market until the Agency has assessed your case. Join our questions and answers session where you can ask our expert panel about all aspects of registration. The materials from the REACH 2018 webinar 'Completeness check - preparing a dossier and the most common failures' are available on our website. The purpose of the call for evidence is to collect information to assess the impacts of a possible restriction on oxo-degradable plastics. The deadline for comments is 11 May 2018, 23:59 (Helsinki time). The call is in response to the European Commission's request for ECHA to prepare an Annex XV restriction dossier regarding the placing on the market and use of oxo-degradable plastics due to concerns on their potential risk to the environment that may arise from their use. The restriction may potentially focus on the use or placing on the market of the additives used in these types of plastics to promote their oxidation. ECHA is inviting interested parties to submit any information they have related to these plastics to help with the preparation of the dossier. The recording of the 12 March 2018 online information session on the possible restriction of microplastics is now available. The guideline clarifies the restriction provisions on polycyclic aromatic hydrocarbons (PAHs) in articles supplied to the general public. It aims to assist producers, importers, distributors, and users of articles, as well as Member State competent and enforcement authorities, to understand and comply with their obligations. 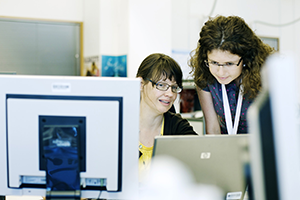 ECHA has launched 28 new public consultations on testing proposals. The deadline to comment these is 11 May 2018. There are currently 59 ongoing public consultations on testing proposals. Ökopol has launched a consultation on short-chain PFASs (C4-C7, per- and polyfluoroalkyl substances) and other fluorinated substances to develop a restriction proposal. Stakeholders are invited to provide information on manufacture and use of short-chain PFASs as well as availability of alternatives until 15 April 2018. A paper on short-chain perfluoroalkyl acids and their environmental concerns and a regulatory strategy under REACH has also been published by the German Environment Agency. An updated list is now available showing the substance and product-type combinations for which a compliant notification for inclusion in the review programme has been made. It also includes the names of the notifying companies, to help you collaborate on applications for approval of active substances and to help avoid unnecessary testing on animals. ECHA's Biocides Day on 24 and 25 October 2018 offers an insight into the latest developments in biocides at EU-level and a platform to discuss what needs to improve for the future. 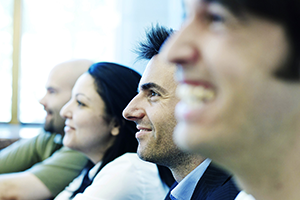 Training on IT tools and one-to-one sessions are also on offer. Sign-up today. The Board of Appeal has issued its decision in case A-011-2017, concerning the joint registration for charcoal (EC 240-383-3, CAS 16291-96-6). The case was found to be inadmissible.